There’s one of these over the alpine room too. It was a great end to a great project. Friday’s dedication event was one to remember. 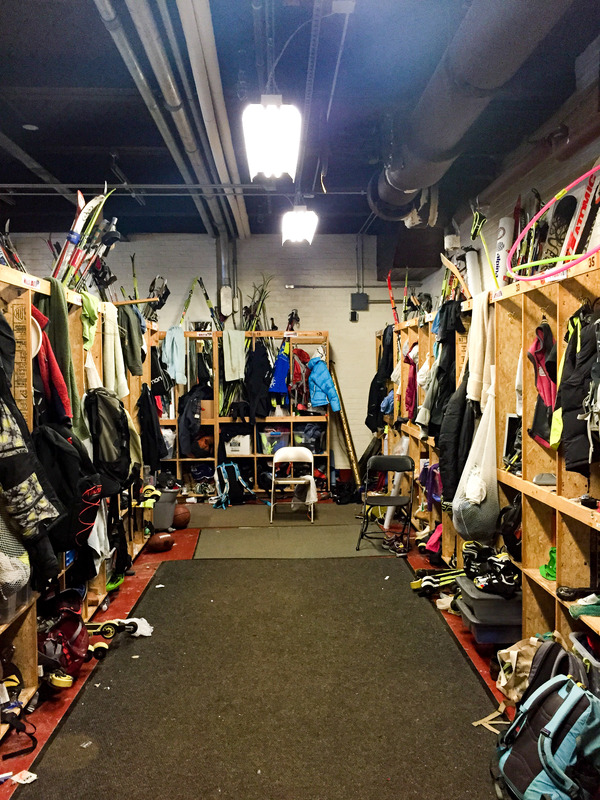 A HUGE crowd, an awesome looking ski room and a few words from the man himself. I’ve also heard from a number of folks who weren’t aware of the project and a bit disappointed. Please accept my apologies. I reached out to as many people as I knew, but clearly missed a few skiers along the way. But it’s not too late — the program could always use help. 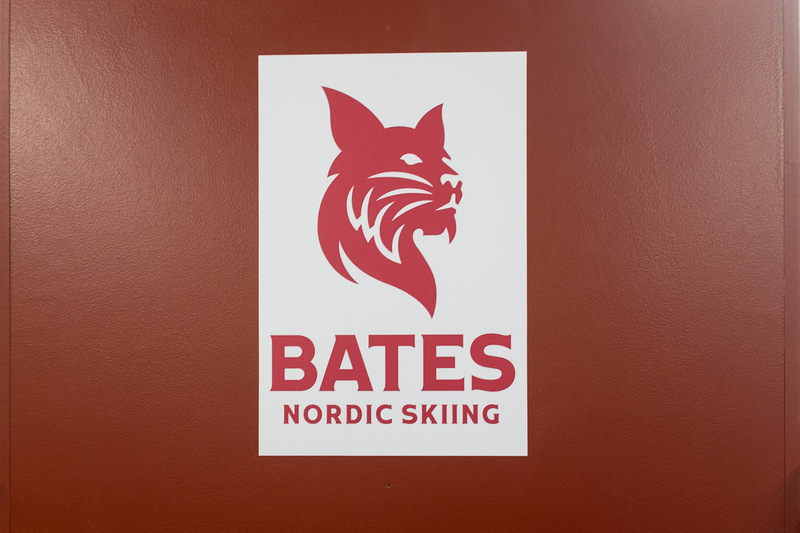 And it’s easy to direct donations to the ski team via Friends of Bates Athletics (http://bit.ly/1M93yoy). And once again — a huge thanks to everyone involved. As I mentioned during the dedication, this was a project of “enthusiastic yeses.” (With apologies to Lou Turlish…) The room looks fantastic and it was truly wonderful to recognize a person who means so much to so many people. Thank you Clayton & Kevin. Before we start with the formal dedication, I’d like to thank everyone who supported these projects. 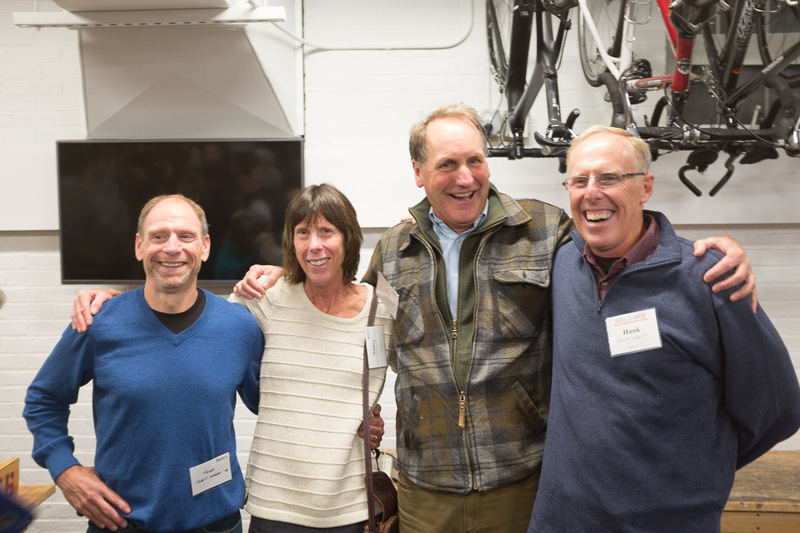 I would like to particularly recognize the leadership of the Friedmans, the Dunleavys and the Abelsons in the renovation of the Alpine room two years ago. And for those of you involved in this most recent project– this might be the closest that you’ll be to the cleanup of a potential SuperFund site. I truly hope you’ve had a chance to see the new space – it looks great. 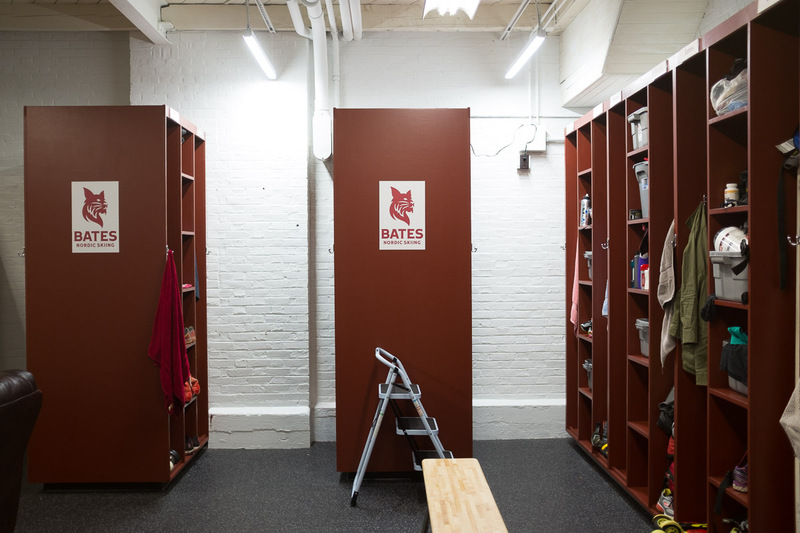 And towards that end, I’d also like to thank Bates’ amazing Facility crew. In particular, Paul Farnsworth was the project leader on this renovation and kept the project on budget and on schedule. 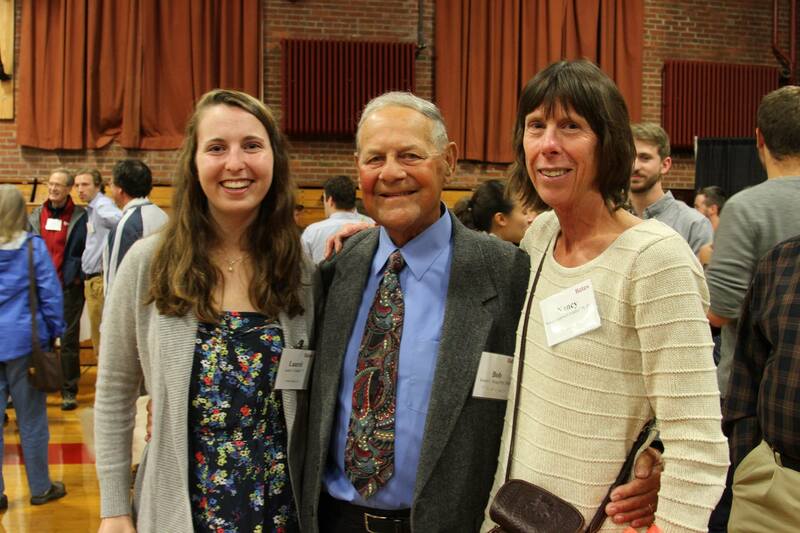 Bob Flynn was named the Bates College ski coach in 1968. In 1972, he was instrumental in the college’s move to Division One where it still competes with the likes of Dartmouth, the University of Vermont, Middlebury and UNH. A few years later in 1976, he pushed Bates to host the NCAA National Championships for the first time. In 1990, Bob’s daughter Becky took over the head coaching responsibilities. 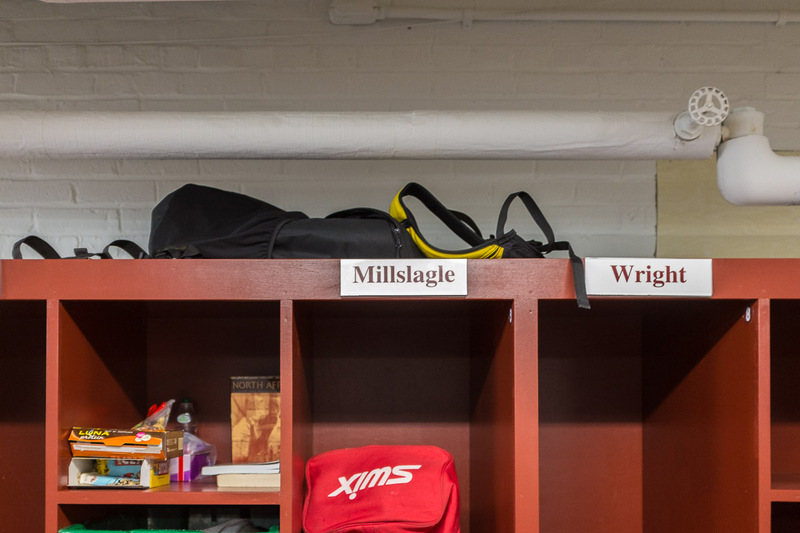 For the last twenty-five years, Bob has been the Assistant Coach, van driver, wax wizard and “athlete whisperer” of the Bates College Ski Team. During that time, he’s been an integral part of program that has produced 10 All-American athletes (four alpine, six Nordic) and four Olympians (two Nordic, one alpine and one biathlete). Taken from almost the exact same place as the earlier photo. Bob is a member of the Lewiston-Auburn Athletic Hall of Fame. He’s a member of the Maine Ski Hall of Fame. And in addition to being a former member of the Pittsburg Pirates, he’s also a member of the Maine Baseball Hall of Fame. And that’s where my research for this evening got interesting. As I was learning more about Bob, I discovered that one of Bob’s friends and mentors was a coach named Clyde Sukeforth. Clyde Sukeforth was a legendary Maine baseball coach who – according to no less than Jackie Robinson himself – played a role second only to Branch Rickey in the integration of baseball. In the course of that reading, I came across a Jackie Robinson quote that I thought was particularly appropriate for tonight. And “impact” is where the true measure of Bob Flynn lies. Bob, Nancy (Ingersoll) Fiddler and that skamp Laurel Fiddler. For some of us, that impact came in the form of new opportunities. 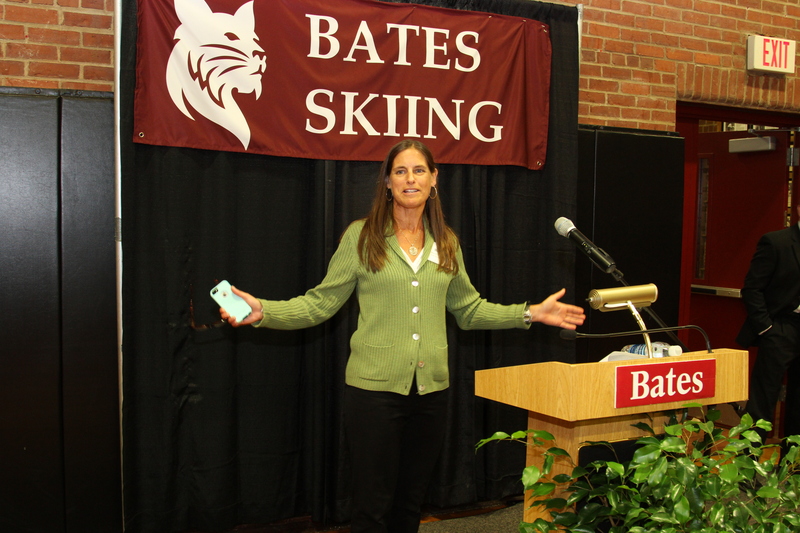 When my friend Nancy Ingersoll Fiddler came to Bates, she had never thought of skiing competitively. 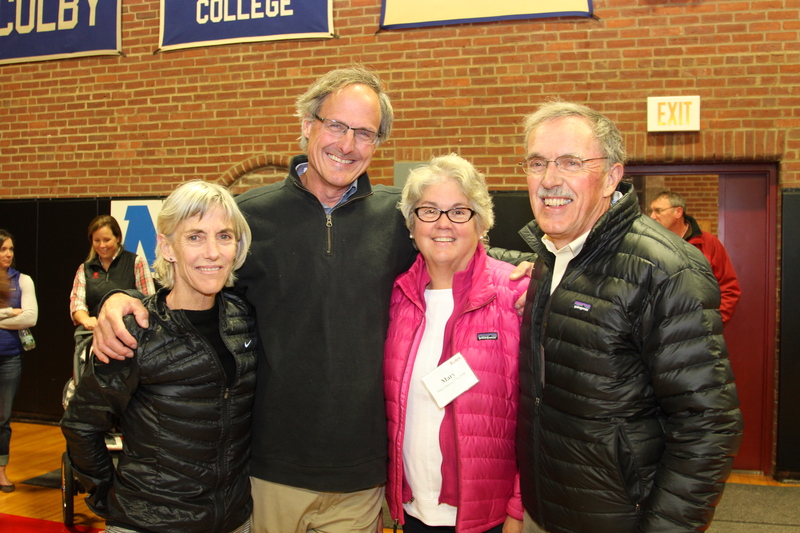 One day she met Bob who told her “You should ski on my team.” When Nancy said, “I don’t know how to ski,” Bob’s answer was “Don’t worry, I’ll teach you.” That promise started Nancy down the road of 14 national championships and two Olympics. For others, Bob’s impact came in the form of access. I know I’m not alone when I say that I am a Bates graduate solely because of a meeting with Bob Flynn. I was 17 years old and racing in an Eastern Qualifier in Andover Maine. Bob and his cute 16-year old daughter skied over, he introduced himself, asked if I was going to college and mentioned Bates. I explained that I wasn’t sure – no one else in my family had been to college and I honestly wasn’t sure if I could make it work. Bob’s answer was “Don’t worry, we’ll figure it out.” (I have to add that Bob’s next line was “And I have I introduced you to my daughter Susie? I think she’ll be going to Bates too.”) From the day I stepped on this campus — and in areas that went far beyond skiing — my life was changed for the better. 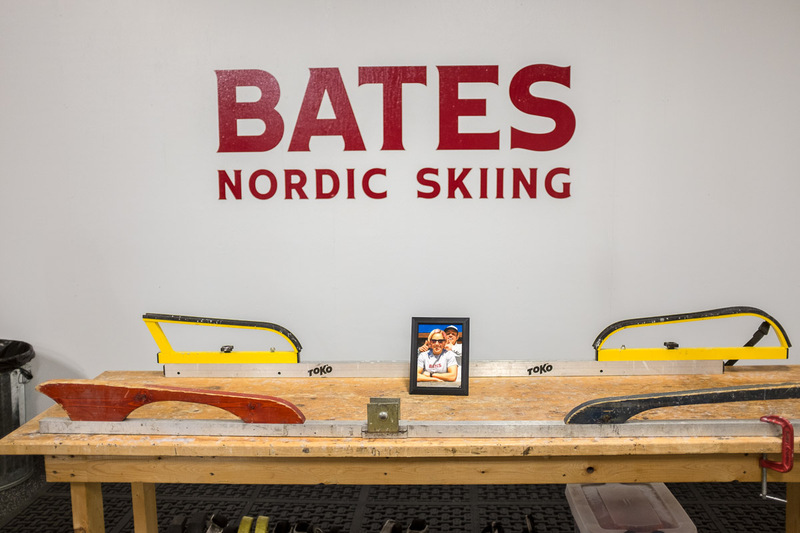 And in those two very different stories lies the common thread that connects 47 years of Bates Skiing — Bob’s unwavering confidence in us as athletes and as human beings. I can safely assume that every person in this room has had a Bob “talk” at some point in their lives. It is what connects us as Bobcats. 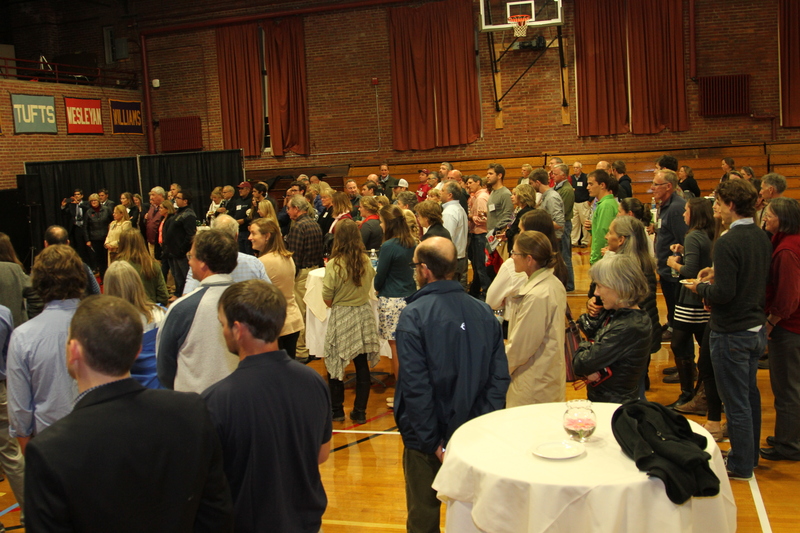 In some cases, it connects families and, in a very lucky few like mine and Nancys’, it also connects generations of Bates College skiers. 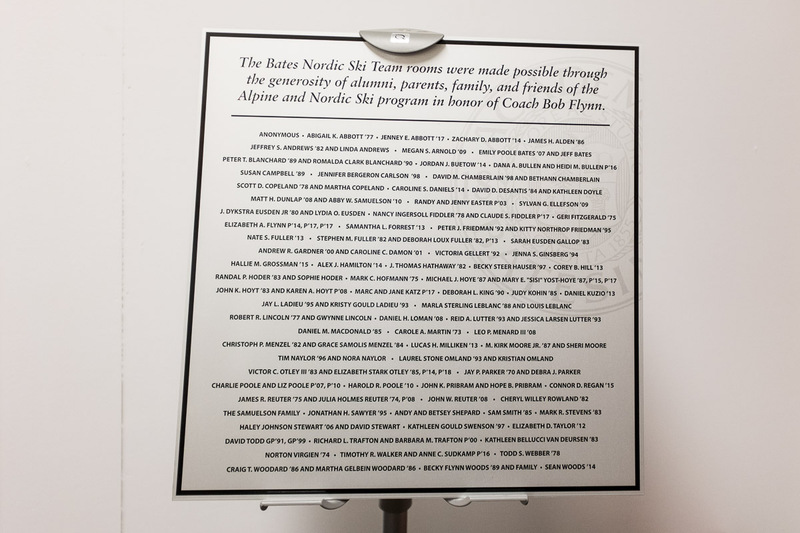 According to the college, this is — unofficially — the biggest donor plaque ever created for a single project. I should also add that this impact goes beyond Bates. We have a couple of donors who asked to participate because of Bob’s contributions to the greater skier community of Maine and New England. 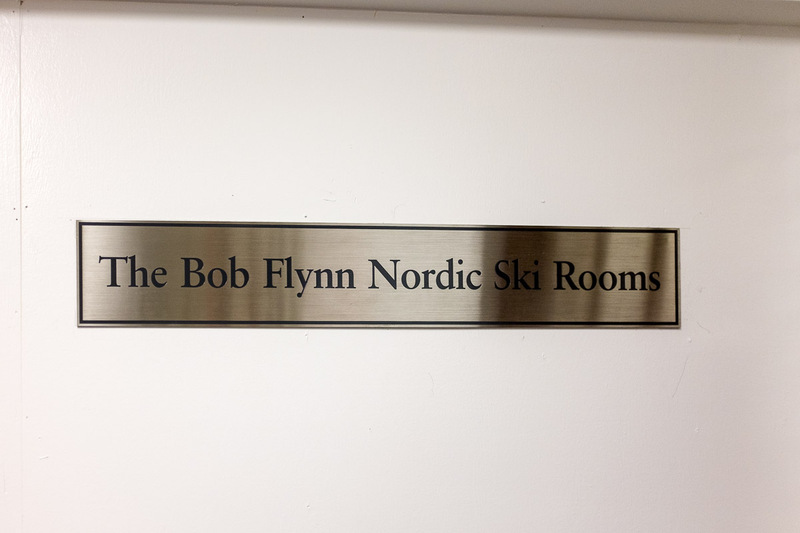 And so it is with the greatest of pleasures that I announce that the recently renovated areas will now be known as the Bob Flynn Nordic & Bob Flynn Alpine Rooms. Bob — On behalf of everyone involved in this project – only a small handful who were able to make it tonight – we thank you for the impact that you’ve had on our lives and your commitment to this special place in the Great State of Maine. Sometimes the simplest solutions are the best. 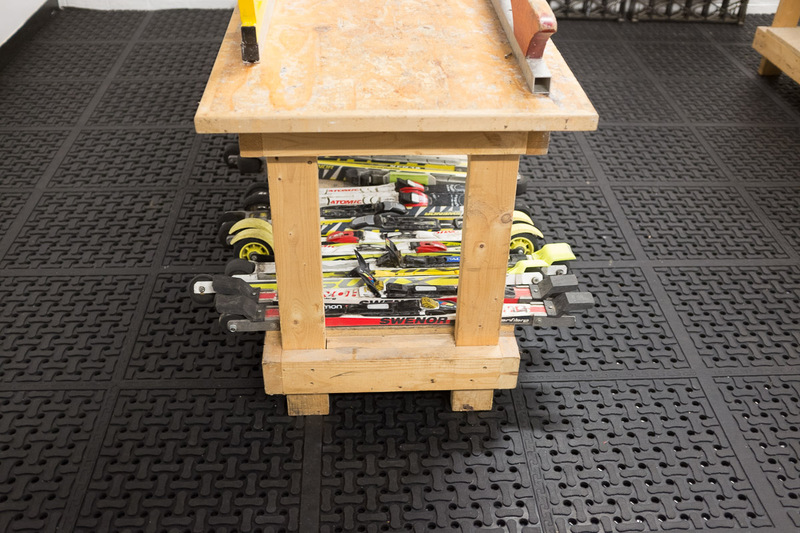 There was talk of creating a separate cabinet for rollerskis, but they decided that they’d dry best out in the open. Left to right – Todd Webber, Nancy (Ingersoll) Fiddler, Dyke Eusden and Hank Lange. Maybe more importantly, they’re standing in front of this room’s FIRST ventilation system. Liking the new Bates graphic package. 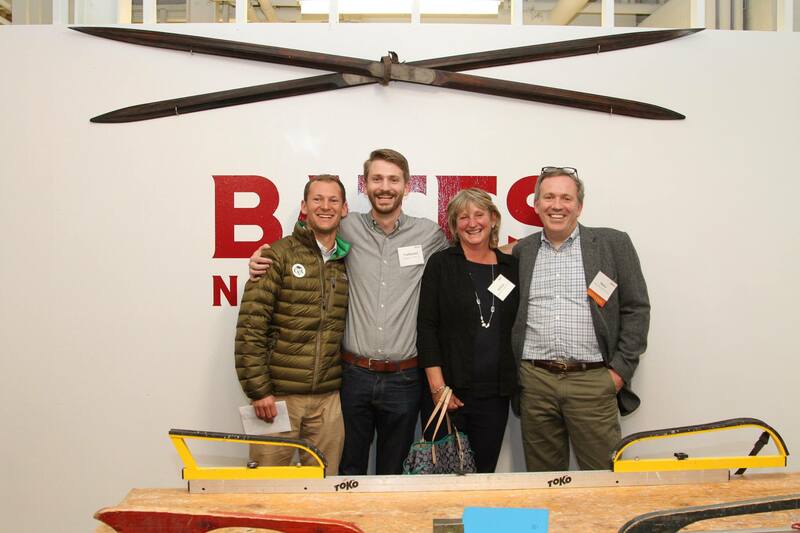 Lucas Milliken, Nate Fuller, Debbie Fuller and myself. 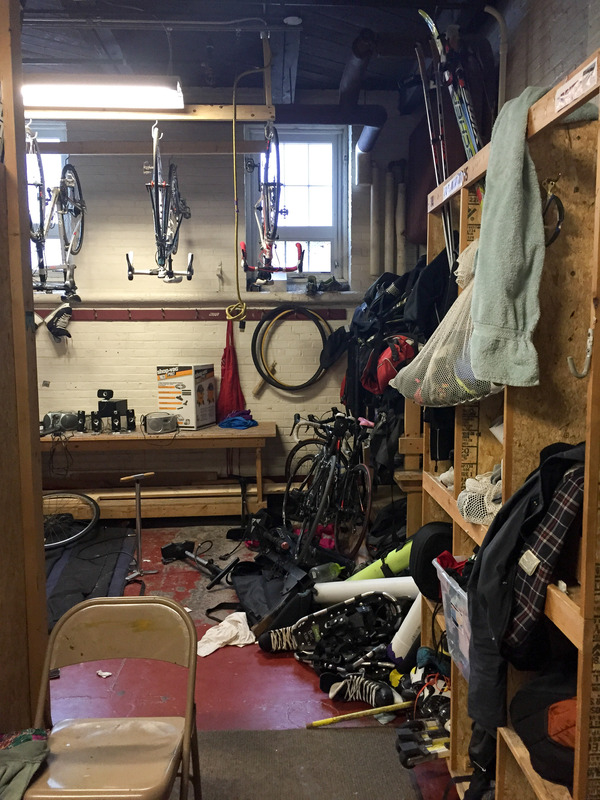 Another shot of the old ski room. Seriously.